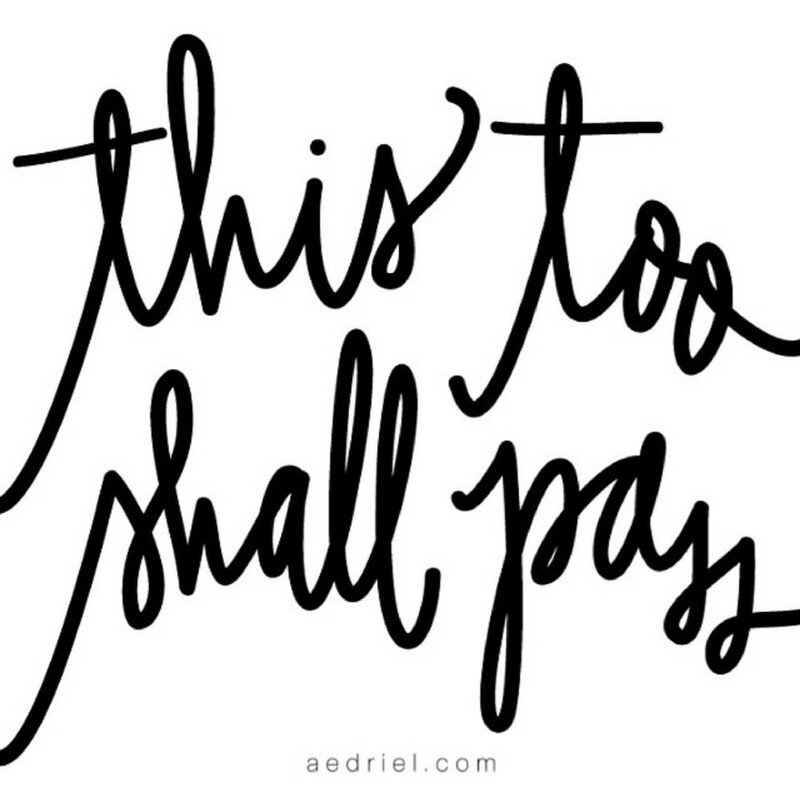 I have always loved the saying "This too shall pass." I think it just reminds me to put all my trust in the Lord with the various ventures and plans He has in store for me. Always keeping 2 Corinthians 4: 17-18 in my mind throughout the tough days. I have been following (via Instagram) a beautiful woman (from the inside out), Aedriel Moxely, who creates the most stunning handwritten items. From home accents... to gifts ..to prints .. to her wise words via her blog, I am thankful for her inspiring creativity. Her website is aesthetically flawless and features her work amazingly. Check her out!